With a dramatic come-from-behind win in Super Bowl LI over the Atlanta Falcons, Brady has now won five championships. He is also as good as ever at 40 years old, an age when most football players are already retired. Off the field, Brady's life is pretty fabulous also. He's married to the world's most successful supermodel and once owned a $20 million house with a moat. 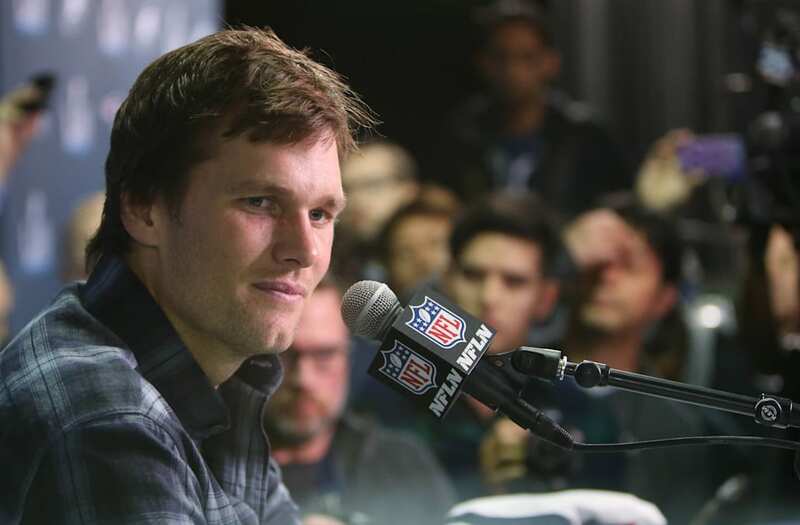 How does Tom Brady spend his millions? Brady was the fifth-highest-paid player in the NFL last season, making $28.8 million. Brady recently signed a 2-year, $41 million extension with the Patriots. A big chunk of his earnings last season came in the form of a $28 million signing bonus. This season he made a relatively modest $1 million salary and no bonuses. Brady is also the third-highest-paid player in NFL history, having already earned $197.2 million in his career. Brady also makes about $8 million annually in endorsement deals with companies like Under Armour, Intel, and Shields. He also has a partnership with Aston Martin. Brady's earnings sound enormous, but it's actually nothing compared to his wife, supermodel Gisele Bündchen. Gisele made $30.5 million last year. She has been the highest-paid model in the world for a decade and is reportedly on pace to make $1 billion in career earnings. The couple once owned a custom-built, $20 million mansion in Los Angeles. They eventually settled on a glassy skyscraper condo that purchased for $11.7 million. That's because they reportedly dropped $20 million on a waterfront apartment in Tribeca. Or the Met Gala. The power couple were co-chairs of the event in 2017. He also attended the 2014 World Cup with Gisele. But there are no boats or planes or 20-person entourages with him. Just a dad making sand castles with his kids. Nowadays it seems like most of his big spending (beyond his housing) is health-based. He even dressed as an avocado for Halloween. He does take offseason vacations with the family to places like Asia (on behalf of his partnership with Under Armour, of course). He even did some sumo wrestling in Tokyo. But mostly, he is the rare athlete who can actually afford to live a megastar lifestyle, but chooses not to.